Gold christening gifts including a solid gold baby's expanding bracelet. Gold christening gifts. 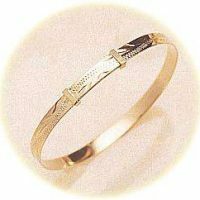 These include a baby’s solid gold expanding bracelet. A really special gift for a really special occasion !